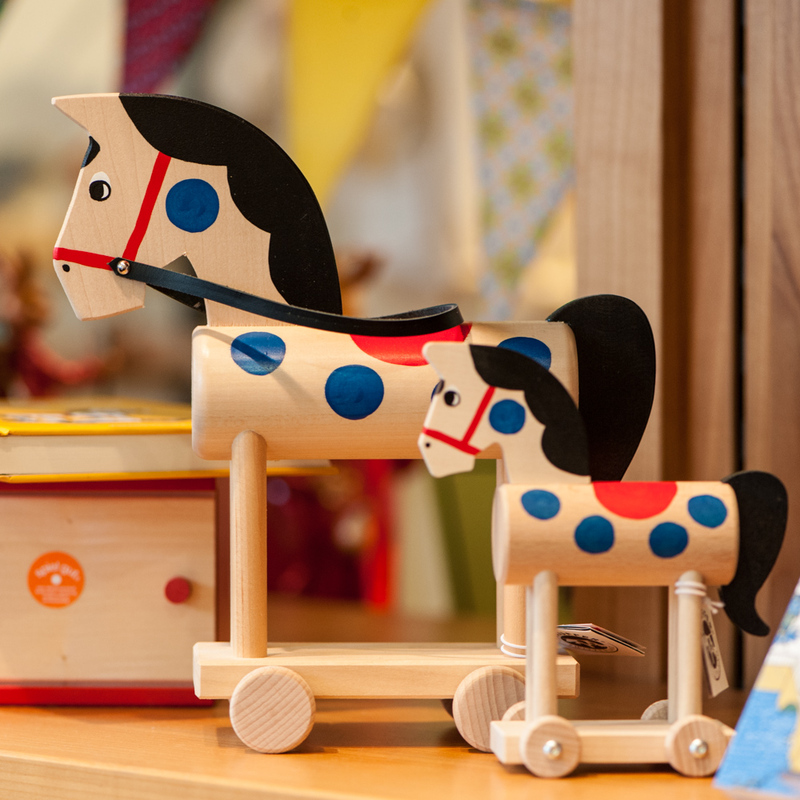 The toyshop Vier Linden Boutique at Hottingerplatz is a real gem for those who hold beautifully designed, sustainably produced toys dear to the heart. From the outside, the store gives a rather unremarkable impression. But as soon as I entered the store and glanced at its shelves, my first childhood memories came to mind. Didn't we used to have these dolls? And the kaleidoscope, also? 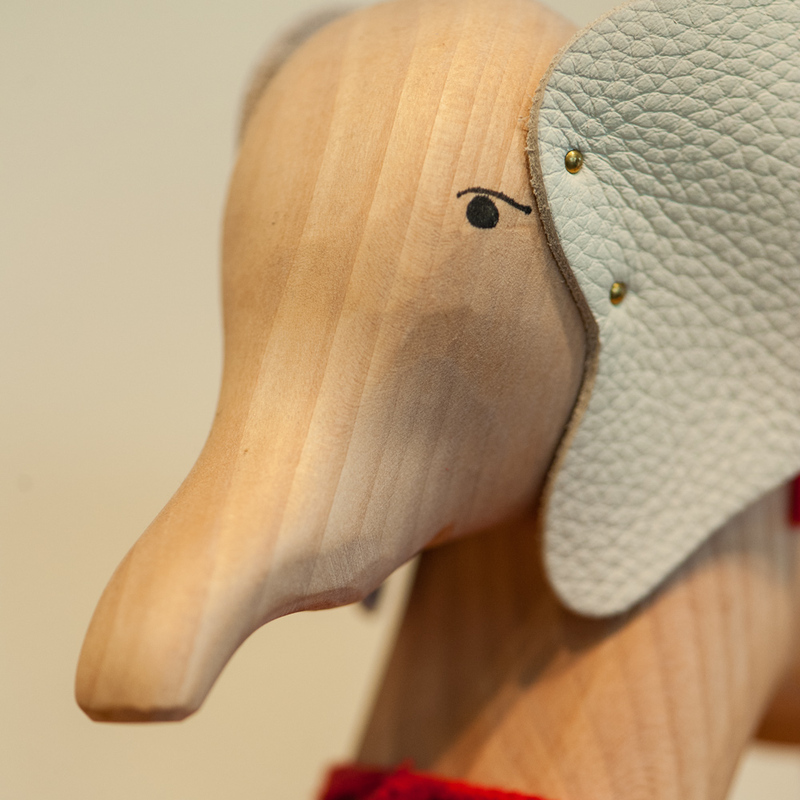 While I revelled in my own childhood, Martina Brügger, benevolent manager of Vier Linden Boutique, begins to reveal a selection of their select products. 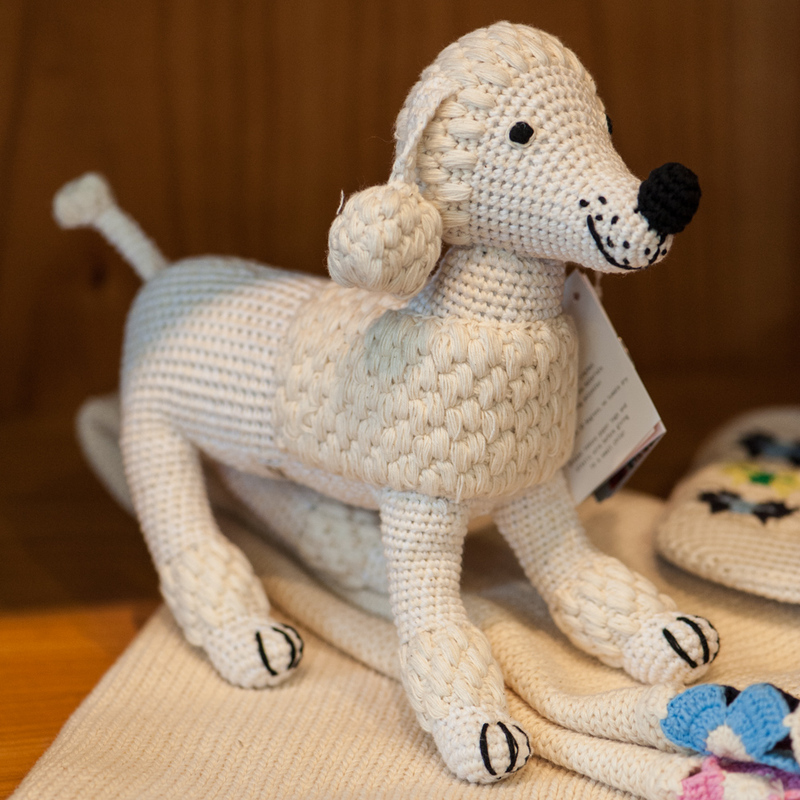 Among them the very high quality and well-designed wooden toys of Vilac and Ostheimer, gorgeous crochet handmade dolls, toys and animals by anne-claire petit, and also a flower press, puzzles and yo-yos in the nostalgic retro-style of Moulin Roty. All of them wonderful ideas for the next children's birthday! Browsing further, and to my surprise, I discover more particular items in the back of the shop: In addition to the beautiful textiles made of non-toxic yarns by Selana, an impressively wide variety of hand-selected children's books, and strikingly beautiful and pedagogically valuable products from the Zürcher Eingliederung workshops can be found. The absolute highlight: A fuel paste powered child's cooking stove from the metal workshop. 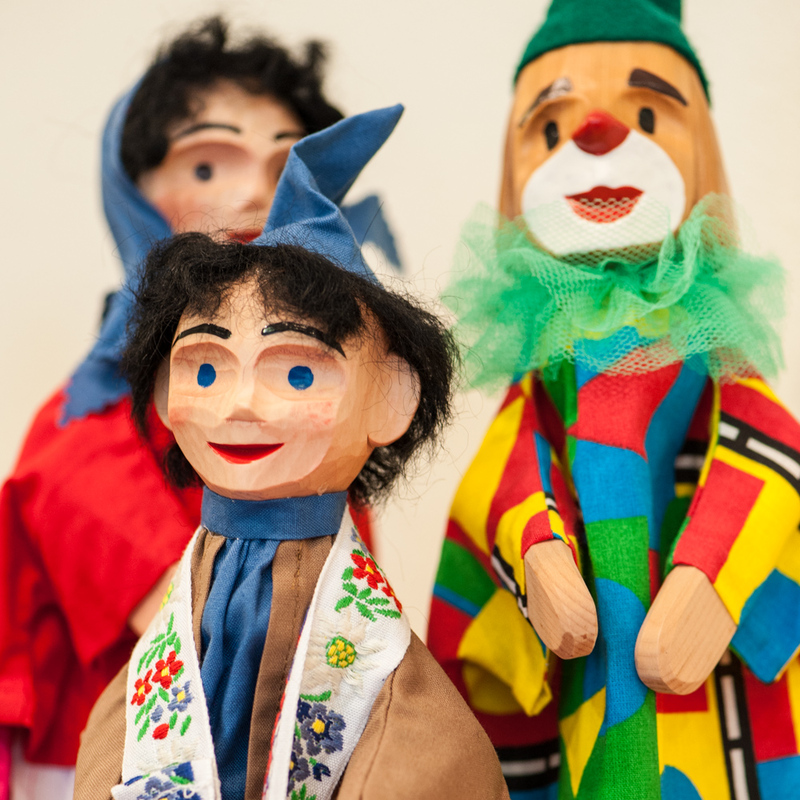 Those rather looking for something small will adore the Kasperli handmade puppets, which are even exported to Japan, as well as the tea towels and the striped, pastel-coloured candles. 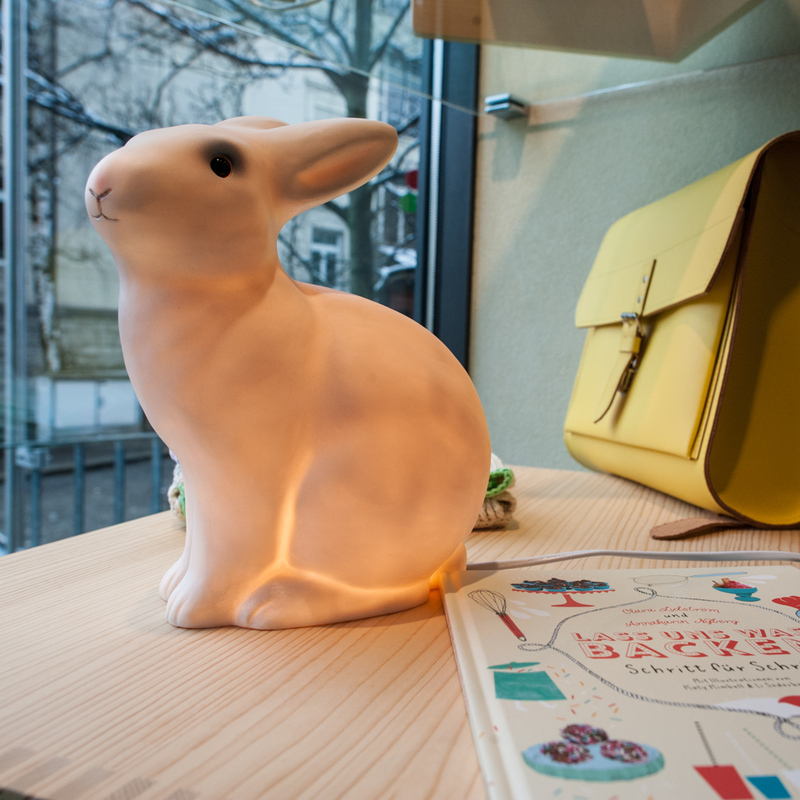 Although - for me - the store is unfortunately a little out of the way, it is clear that I will, nevertheless, come back often. And, in need, they even have an online store, through which one can at least obtain the wonderful children's books.